Creepshow has such an amazing influence on so many peoples. Many have become comic artists, special f/x artists, writers and actors. Most importantly, a lot of people become fans of horror thanks to Creepshow. It's very easy to see why. The horror, the humor, the colors, the special f/x, the amazing cast that pulls you in and a soundtrack that plays so eerily over the film. It's a win-win. It's a perfect movie, and in fact, the reason I'm a horror fan now. If I hadn't seen this in the basement of my babysitter's house at an early age, I probably wouldn't be talking to you. 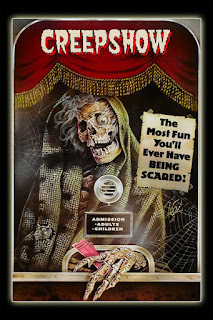 I pretty much owe my entirely livelihood to Creepshow. Now of course with documentaries being the product these days, it's of no surprise that a documentary on Creepshow had to be produced. Of course! The behind the scenes stories of a movie this monumental to so many horror fans has to be documented. Thankfully our wishes were granted. 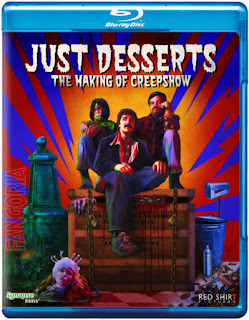 In 2007, Red Shirt Pictures produced a full documentary called "Just Desserts" to be included as an extra on the UK release of Creepshow (by and far the best release of Creepshow to date). The documentary soon became an selling point for many of the fans, yours truly included. But for those who didn't want to order a different region dvd, it seemed they were left out in the cold. Until a crowdfunder began that is! Synapse Films saw the crowdfunding effort by Michael Felsher of Red Shirt and picked up the project for distribution. With Synapse behind this, now it's gonna be a real keeper. The Documentary itself is what was on the UK DVD. For those who don't own it, you get a LOT of behind the scenes stories, footage, and revealing interviews from those involved. 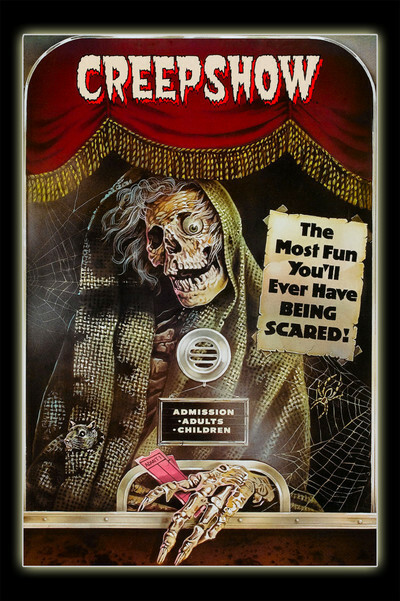 George Romero, Tom Savini, Tom Atkins, Adrienne Barbeau and so many others are involved in this and their stories are just as entertaining as Creepshow itself. 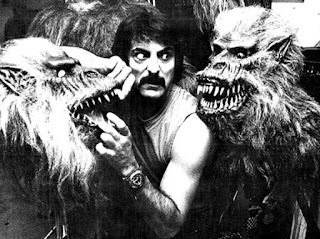 The story of Tom Savini geeking out and grabbing Vivecas Lindfors' face and proclaiming "you were the Queen", a reference to her portrayal as Queen in Don Juan, was pretty fun to hear. The ONLY major name missing is of course Jody Verrill himself, Stephen King. Not that I expected him to appear, but it would've been nice. Still, don't allow that to be a turnoff. A lot of fun Stephen King stories are included by all involved. So many aspects shouldn't be ignored in the documentary either. The stories of Leslie Neilsen's practical joking and how they made the effects on "Something To Tide You Over" was pretty captivating to hear from a special f/x point of view. Also, something I never knew was that Tom Atkins originally wanted to audition for the Jordy Verrill role until he was informed that King took it instead. But hey, it worked out for Atkins, eh? Perhaps my favorite segment out of the entire documentary is how Adrienne Barbeau talks about how she's the opposite of her character and how much fun she had playing the drunken loon and let's be fair, we could all use more Barbeau. Just call her Billie! This documentary was clearly a labor of love, as all stops are pulled out and it shows. This is the kind of documentary every fan will want to watch over and over again. For everything it is, it deserves a 10/10. It's a flawless documentary and the review could end there but it's Synapse, baby! They're not done yet! Yup. You read right. A lot of great stuff. My personal favorites may be the 1982 news report segment from the set. I always love seeing stuff like that. A behind the scene photo gallery and behind the scenes test footage are also huge highlights. 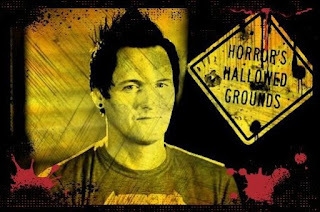 A new episode of Horror's Hallowed Grounds starring big time horror geek and convention all star, Sean Clark, in which he examines the current states of the filming locations of the movie. There's a lot fans who love visiting horror locations but none more fanatical and knowledgeable than Sean Clark. 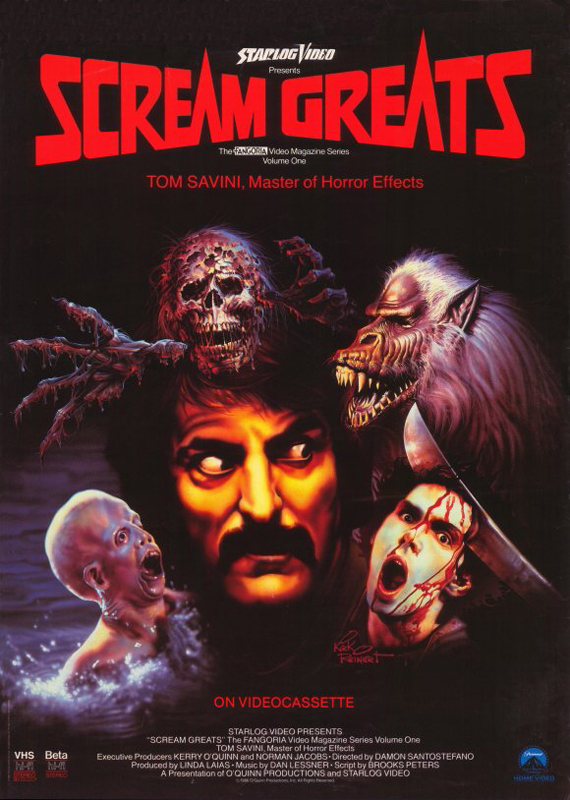 But my personal favorite is the inclusion of the Scream Greats: Tom Savini, which was a vhs put out by our friends at Fangoria in 1986. It's a unique, behind the scenes look at Savini at the time and the projects he's worked on and were working on at that time. Greg Nicotero also appears, as he was a frequent collaborator with Savini. Even better? Savini adds commentary to the feature. It's really a fascinating look at how practical effects worked back then and the test footage that is being featured is the things every horror fan dreams of. This was an extra special touch to the release. The extras included are a 10/10. But if I had to be truthful, they're really a 100/10. I'd really have to invent a number to properly exclaim how much I love these. So I will: A bakillion/10. 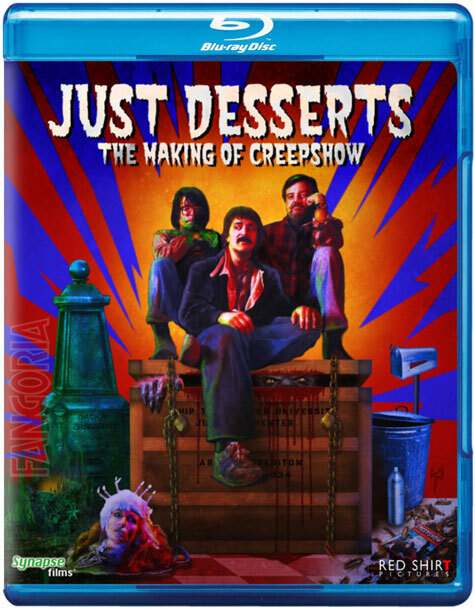 If you're a fan of Creepshow, George Romero, Tom Savini, or horror in general, this is no doubt a must own. Hands down. It's available starting today and it can be yours by visiting our friends at Synapse Films!